The world’s greatest spiritual traditions teach the same basic principles of love and reciprocity. Tantra Yoga is a unique path that invites you to attain true freedom by cultivating a deep sense of trust, unwavering faith, and spiritual discernment as you work toward collective liberation. If you are feeling lost, misguided, disconnected, uninspired, suppressed, or unable to conceive a life of purpose and meaning, your soul is begging you to establish a spiritual practice. You need not identify with any particular belief system in order to benefit from the teachings of Tantra, because the philosophy and practices are designed to help you define your personal values, express your conviction of truth, and embody a deeper understanding of spiritual integrity. If you are seeking a more authentic and ecstatic connection to your divine nature, please contact Maria for spiritual guidance and devotional practices to help you realize your desires. The right spiritual path is different for each individual, because of this one ultimate paradox: You cannot try to be something that you are not AND you have full authority over the person you become. It is your personal duty (dharma) to understand your purpose in life and to fulfill that purpose. Your desires lead the way to your personal transformation and spiritual evolution. 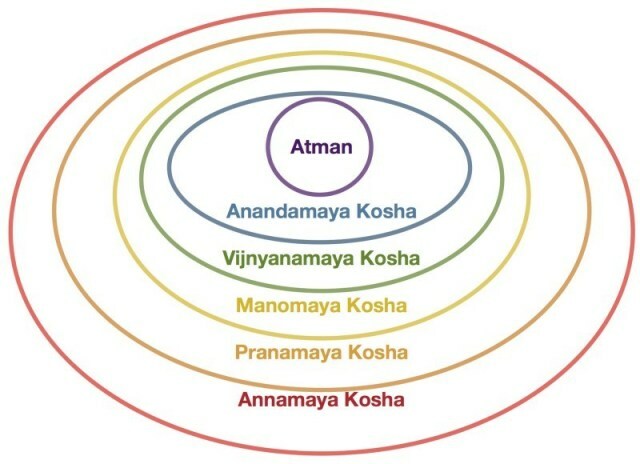 Tantra Yoga offers a multi-dimensional structure to observe your self and connect to your individual source of divinity (Atman) by exploring the five layers of your body (Koshas). Annamaya Kosha (Physical body) How does your body move and feel pain / pleasure? Pranamaya Kosha (Energetic body) What gives you energy and what drains your energy? Manomaya Kosha (Mental body) What is the quality of your mind-chatter? Vijnanamaya Kosha (Wisdom body) What are your personal values? Anandamaya Kosha (Bliss body) If you are not your mind and you are not your body, who are you? Tantra is the art of devotion and the science of spiritual connection. If you wish to feel more empowered along your path of unfolding truth, faith, wonder, awe, delight, and lifetimes of learning, please contact Maria for Tantra Yoga counseling.